I so enjoyed my recent stay at Jaeger Acton! As a lot of other reviewers have commented, Jaeger Acton is not your traditional hostel (or maybe its the most traditional kind?) because its actually a few rooms above a local pub. It’s off of High Street- kind of a main road through Acton- so there are a lot of nearby shops, restaurants, and cafes. The best part about it though is that its truly an authentic experience. Rooming above a local pub within a laid back suburb of London was awesome! All in all you get what you paid for. 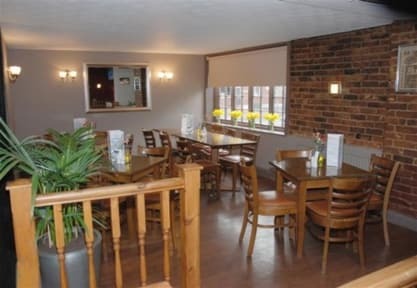 The Hostel is located 40 minutes by under- and overground away from London City. The room was cleaned every day and the showers and toilets were also alright. The breakfast was minimalistic, they could have offered more to choose from and the floor was very sticky from the pub event the night before. The sheets were clean and the room was quiet and secure. The mattress could do with replacing and the springs were kinda pokey. The lady who owned the place was pretty gruff and insisted that I pay in cash, which I was not prepared for. Also, there's no sign on the outside showing it's the Jaeger Acton Hostel. 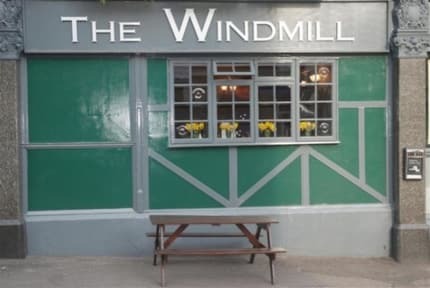 There's a pub called The Windmill and you've gotta go and ask at the bar. I wouldn't go there for a romantic weekend, but it's close to Heathrow and what you would expect given the price. My partner and I spent 2 night at the hostel, for the new year. It seems through the atmosphere that we were not expected, mainly, because we didn't receive an appropriate room. We were also quite surprised to hear that two twin beds put together make a double. Also, "that's not what we paid for" didn't seem to be something to point out. Otherwise, we saw our room before the daily cleaning, and found some "leftovers" from the former tenants. We didn't spend a lot of time here though. Cleaning is the key!! Room smells like s**t.